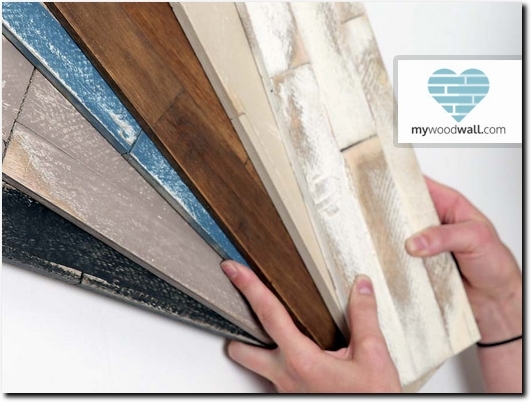 Homeware and Giftware - DIY Rustic Wood Wall cladding - Just peel and press! 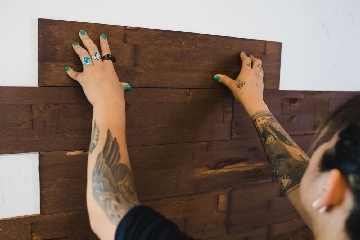 DIY Rustic Wood Wall cladding - Just peel and press! 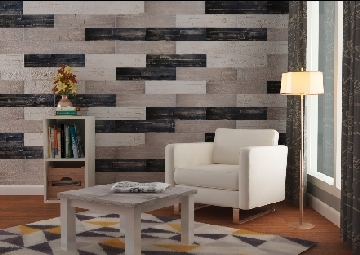 mywoodwall wood wall panels come in a range of colors and finishes that can compliment any room - wall or ceiling. Totally self-adhesive, they are a great alternative to wallpaper or paint, with no nails, no paste and no skill needed - installation really is as easy as "Peel and Press". ...for the perfect feature wall in no time, with no mess and no fuss. All of our panels are made from real wood - not cheap MDF - and are 100% FSC certified and emission free. 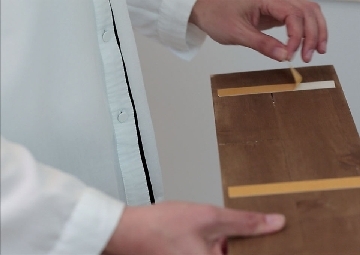 The ultra-strong tesa tape we use is guaranteed to hold up your panels to the wall or ceiling for 10 years. 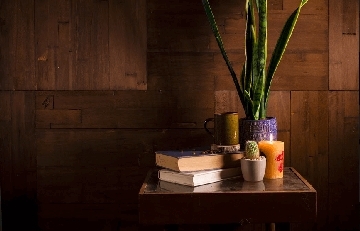 mywoodwall is available in 6 cool Scandi-style colours for the perfect cosy hygge finish in your home. For every box of mywoodwall sold we donate 6 trees to the One MIllion Tree project reforesting Borneo - over 300,000 trees donated to date! Germany (Seggebruch) based business providing wood wall panelling systems. Website includes catalogue of products provided (e-commerce facilities), how-to's, delivery and returns information, terms and conditions, FAQs, work examples, blog, full contact details.